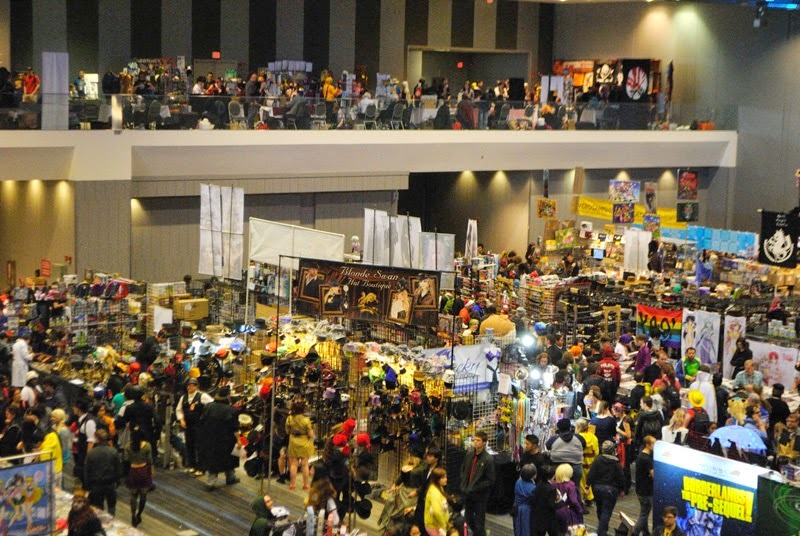 Retro Recap: Ohayocon 2015 Review! The big question remains... WILL I EVER BE ABLE TO READ A CALENDAR PROPERLY? I constantly thought about this while I was prepping for Ohayocon 2015. But I shan't dull the conversation about those musings, you probably want to know the behind-the-scenes thoughts on the Ohayocon AA. But I heard there were staffing changes, and I had been developing a lot of my own stuff, so I figured, WHY NOT, and tossed my application in with the masses. And LO AND BEHOLD I made it in! I wasn't expecting a lot from the show in of itself. The previous years I had been there the alley had been half desolate (mostly because I believed the artists didn't understand the NO FANART rule and got booted), and a lot of the attendees didn't seem to care much about the area that was located in front of the dealer hall enterance. BUT, it was a short drive (3ish hours? ), and I figured WHY NOT. I at least wanted to say I tried. SO, without further ado, here's my thoughts on the alley. Instead of giving you a play by play of each day (which really would just be me going "Got up, went to show, drew a lot, went home, fell asleep" repeatedly), I'm going to go by the good the bad and suggestions this time around. PRE-CON INFO - the head of the alley kept us all very informed as to what was going on, when we'd be able to check in, as well as all the processes we'd need to do. We had a map pretty early on for advertising purposes. The DH was very interested in making sure we'd be well taken care of. View of my booth! I was right in the front. TAKE NOTE: the spaces next to each of the tables. This will be important later. GENERAL WORKINGS OF ALLEY - Everything worked very well. Even when the DH needed to escape early for a personal emergency, she had staff fill in, and immediately let all the artists know what to do for the end of the last day. I had no issues with how the show itself was run, and I wish more shows would be as efficient and helpful! Check in went quickly, check out went lovely, and our badges were very nice. I honestly have NO complaints on how the Alley itself was curated, ran, and taken care of all weekend. A lot of the things I didn't care for actually had nothing to do with the alley runnings itself. That was a well-oiled machine. Most of my problems dealt with the convention ITSELF, so I just want to make that clear ahead of time. LONG HOURS - This is probably my only real gripe about AA rules/operations/etc. I'm glad they wanted to give us extra time outside of the dealer's... but 12 hour days are absolutely KILLER and I'm really pleading to all AA heads, please please please, let us have somewhat sane hours. Alley tables located on the top balcony area, Dealers in the area below. This picture was taken on Friday - probably one of busier mornings at the show. 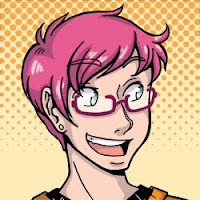 ATTENDEE CONFUSION - Most attendees of shows visit other conventions. They go to the artist alley to find prints of stuff they can't find in the dealer hall. Or get commissions, or cute trinkets. This is totally okay! For some reason, I feel like the attendees either haven't paid attention or haven't been told that the Artist Alley is original artworks only. Many entered the area and left quickly because they didn't see anything they recognized. I understand the show has this aversion to fan art (for reasons I have never been able to find out - I'm guessing a lawsuit somewhere...? or maybe just legacy? ), but I feel like more attention needs to be given to the fact that this is more an art show, than an alley - and to advertise this. I kind of associated the alley as trying to sell caviar to people who like to eat fast food. PARTY CON - This clearly hasn't changed much since the 4 years ago I attended the show. I understand that people go to a show to have fun, and that's great. What's disconcerting is hearing how many people are hung over on SATURDAY MORNING. They took no time to wait in getting drunk (due to large bar in the hotel being open), and while I'm totally okay with people doing what they like, I feel like this sort of mentality drags the con down into a more unruly state. (I find it very strange when the doors open Saturday morning for dealers, and like 3 people trickle in because everybody's too hung over to get there for the open. Normally Saturday is the tidal wave day of attendees at shows). RUDE ATTENDEES - OH MY GOODNESS PEOPLE. 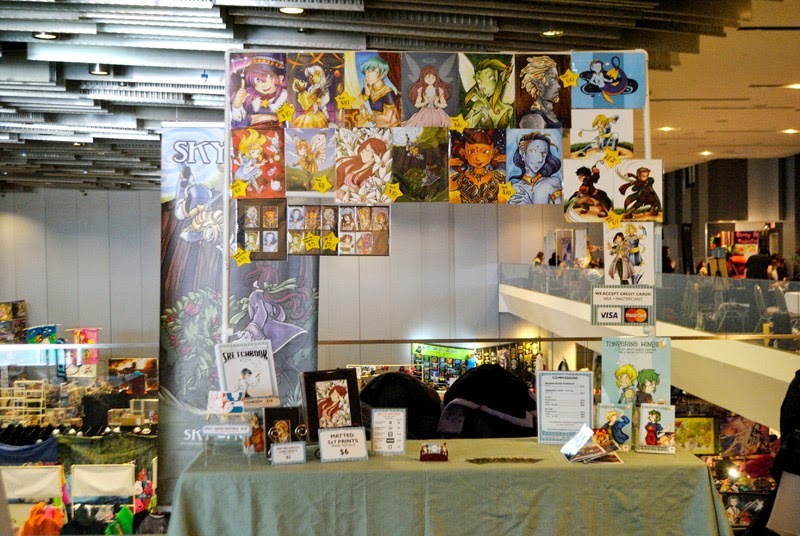 The number of people who just barged past my booth and directly went to the railing behind all the tables (right where my HUGE BANNER was located), was crazy. They'd never ask. They'd just barge between the tables, so they could take a picture or view the the dealer hall from above. They didn't seem to care we actually had products, or business going on, it was just I GOTTA LOOK DOWN ON THE DEALER HALL DON'T CARE. I've NEVER been at a show where attendees just decide, hey those tables look official, maybe I should walk behind them because there's a space there I can fit. Now, don't get me wrong, there were a lot of nice people there. I met some really friendly folks, and they were AWESOME. But the number of misbehaving/bad attendees vastly outweighed the nice, polite people. The blatant disrespect of business space was my final straw. Weirdly enough, the sides of the alley always felt busier than the front side... I'm not sure how to change that! ADVERTISE ALLEY DEMOGRAPHIC - I'm not sure how to do this without labeling it as "NO FANART HERE GUYS" because that would turn away a lot of people, but I'm wondering if there's some way to at least get the attendees to understand what's going on up there. Maybe change the name, or have some signs describing things - heck, maybe even let us do some advertising for our own booths? I just think there needs to be someway to spin the alley tables in a way that lets attendees know, nope no fan art, but you can find some AWESOME stuff here like unique art, comics, plushes, commissions, etc. I can't think of wording right now, but there has to be something. As I've said earlier - this con's been running 15 plus years. Why are attendees not accustomed to this change yet? SHORTER HOURS - Please. Don't give us 12 hour days. Also, having us open at what... 8:30 am was KILLER. Nobody was there at that time anyway (except us artists) and while I enjoyed the extra drawing time, I'd much rather get some extra sleep. FAN ART COMPROMISE - I know this is kind of a non-issue, and I have never truly been able to find the reasoning why the show refuses any fan art whatsoever. If there's a way to maybe make a 60-40 or 50-50 rule, the artists there might be a little more successful - and attract more attendees than it currently does. I know it's kind of a useless request, but unless the show itself starts to cultivate the alley as something OTHER than a usual alley... attendees will continue to be confused and the artists will cycle in and out each year. Was it a good alley? YES. Was it a good show? NO. In general the alley was run smoothly, but the negatives of the rest of the show (as well as doing poorly business-wise) has marked this convention off my list for a while. 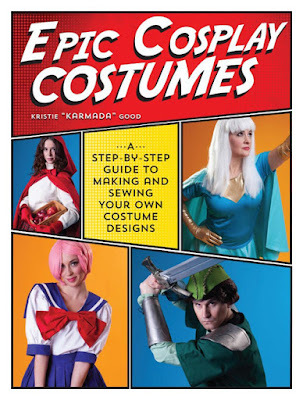 Would I recommend this con? Certainly, but with caveats. If you are able to minimize your travel costs to the absolute minimum, and you have a unique (and relatively) inexpensive product(s), or fancy books, then you'll probably do pretty well. Also drawing commissions very quickly would do it too. It's worth a try, but only do it at the lowest cost possible as well as make sure you have copious amounts of original works! I have a Retro Recap of Ohayocon coming up, but I wanted to tell my Tale of Woe from the start of Convention Season. 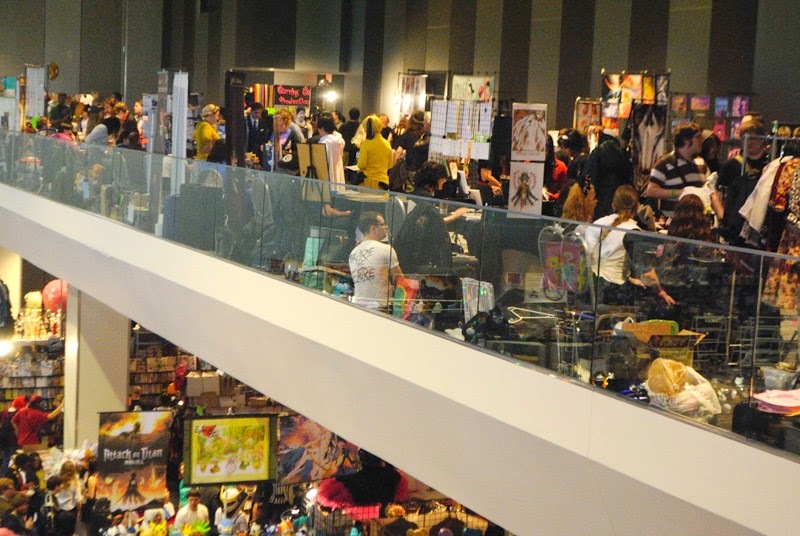 Since Christmas, it seems like everything's been one disaster after another, and Ohayocon was no different. Sure, there were things like low sales, weird crowds that really brought be down, but not to be outdone by my burning of myself around Christmas, the fates would have it to make even more hilarity happen to us. 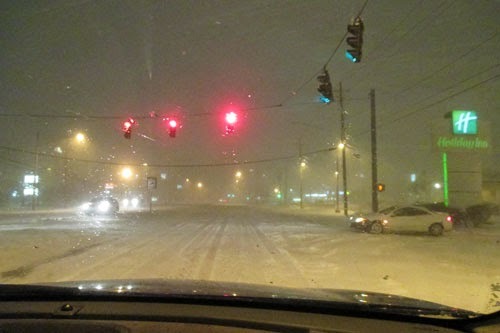 You see, at the end of Ohayocon is when the Great Blizzard of 2015 was rolling through Michigan/Midwest. It was supposed to have been more to the south, but we figured that we lucked out by having it go more north. I mean, they'd be way more prepared to handle snow than southern Ohio, right? That was when I was texting a friend of mine who mentioned that they were already declaring snow emergencies at 2:00 pm that day. Since business was slow near the end of the day on Sunday, we cut our losses and decided to pack up and leave early. Hopefully we could beat out the worst of the snow - it was only a 3.5 hour drive! How bad could it be? It was like in those movies where when the main character goes "It could be worse!" and then it starts pouring rain. Things were going well until we started to reach the upper Ohio area - nearing Toledo. 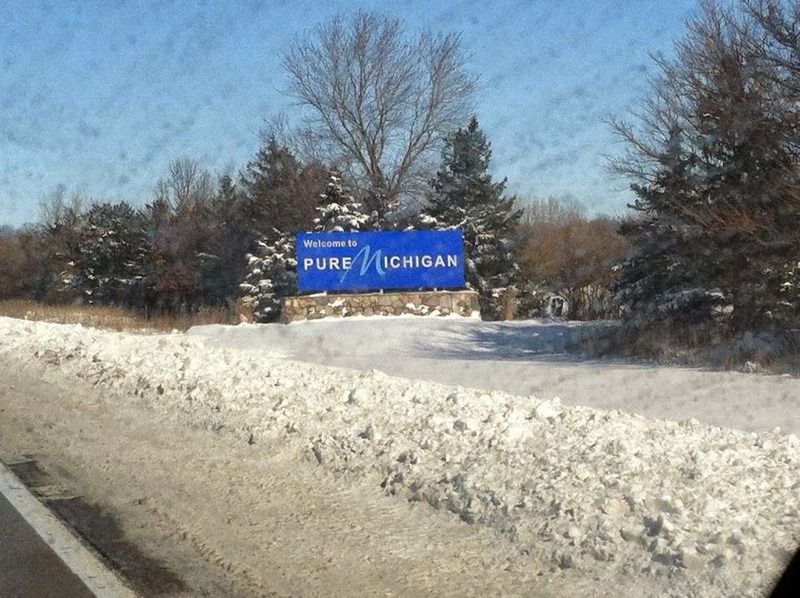 The wind was blowing, snow was falling rapidly, and we were like WE'RE MICHIGANDERS, WE CAN HANDLE A LITTLE SNOW. Judging from the signs, we assumed we were on the road. But then the wind got worse. And the snow got heavier, and plows were nowhere to be seen. 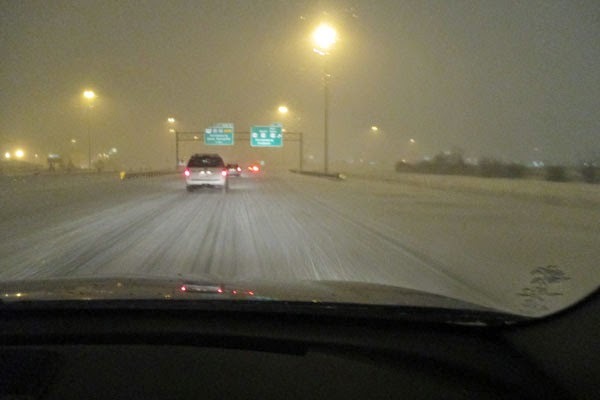 At one point the snow was blowing so strongly across we lost ALL vision from the windshield, and our wiper blades began to collect ice due to the severe low temperatures. I dunno if anybody here watches Top Gear, but the episode they were driving through Siberia.... well... we got to experience it first hand! IT WAS SCARY. So we made a choice we've never made at a convention or trip before - we needed to stop elsewhere for the night. It's times like this that I'm grateful for smartphone technology, because I quickly pulled up my map of the area, found a relatively inexpensive hotel (that wasn't scary), and gave em a quick dial. They had rooms, thankfully, so we headed that way. 45 minutes of driving later, we arrived in Perrysburg. The snow had piled up and was still pretty fiercely blowing around, but we made it to the hotel, and since we hadn't packed anything food-wise other than donuts/snacks, we needed dinner. But that proved to be even more difficult - since it was blizzarding, many places shuttered and sent all the workers home. And because it was a smaller hotel chain, we didn't really have any connected restaurant either. So we went out searching. ...and we found ourselves a gas station. ...and we bought food from a gas station. ...and I ate food purchased at a gas station. Mind you, it was ramen, and all I had to do was add hot water, so it was definitely in the SAFE category, but if you happen to know anything about me, it's the fact that I am indeed a Suburban Princess. You may as well have said I went camping and cooked and ate fish I caught. I ended up surviving the ramen cup (even though it was chicken flavor, I prefer beef), and we rested that night. At least we had free wi-fi! BUT WAIT IT GETS EVEN BETTER. It was later that evening, that we researched something the Hotel staff had mentioned when we arrived. Something about a number code for weather. That was when we discovered that Ohio has this really weird numbering system for winter weather, and it turned out that the county located JUST above us (we were basically at the county line) was under their maximum level (3). This means that if you were on the roads under a Level 3, you could be pulled over, ticketed, and possibly arrested. WTF OHIO. ...this did explain the cop that watched us leave the gas station that night. He was probably making sure we didn't go into the Level 3 County. Also, we found that this restriction wouldn't officially be lifted until sometime tomorrow - in theory NOON. We couldn't even legally leave earlier in the morning, and while I enjoy being able to sleep in, I WANTED TO GET HOME. Purely made of Potholes and Salt! Once we were free to go, the fun just KEPT HAPPENING. The drive through Toledo was fine, and even all the way up into our local area. Somehow they got all the main roads plowed, so yay? BUT WAIT, THERE'S MORE. That's... a parking space, btw. We had a car full of booth, and somehow the apartment complex hadn't gotten to clearing out their lots. And while, yes, I understand that it was one of the worst snows we've had in a while... why didn't they think of removing the snow from unused spots at least? They plowed everything else! ...and since we live at an apartment complex, we have never in our entire stay here have needed a shovel of any kind. But this was like a foot and a half of snow, the size of a parking space, and thus began our quest for a shovel. To which we discovered that ALL the local stores were preparing for summer, and had NO SHOVELS ANYWHERE. Seriously Michigan, WHAT IS YOUR PROBLEM. What makes you think that we don't have need of things for snow during the month of JANUARY. Instead, they set out all the... grills. 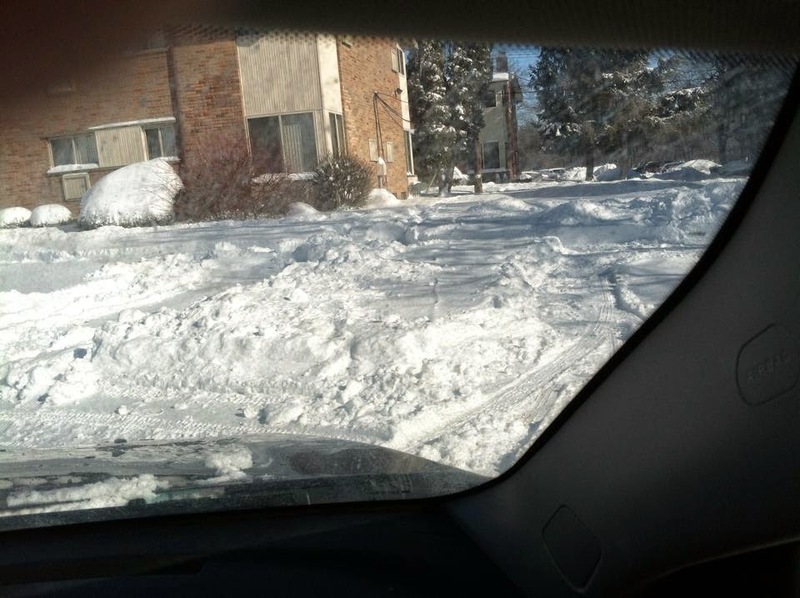 It took another 1.5 hours to find ourselves an actual shovel (the other crews probably came and took all the leftover ones they could find), and much like a few other people in our complex, parked the car in the aisle, and then shoveled out the space. At least we weren't alone! AT LAST WE WERE HOME.